Southern University Bangladesh (SUB) launched its undergraduate program of B.Sc. in civil engineering in 2009 with a dream and a vision of meeting the challenge of the twentieth century. Today the department enjoys a strong reputation for undergraduate education, civil engineering research, and social services. 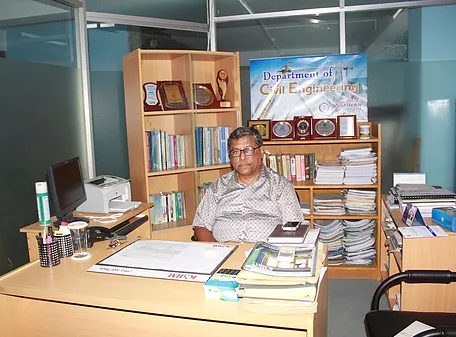 The department is consistently ranked as one of the finest civil engineering schools in Bangladesh. The department has a strength of around 23 full-time faculty members having an excellent academic background from reputed local and foreign universities. Commitments coming from our faculty and their passion for academic excellence are always regarded as the driving spirit behind our success. A number of adjunct faculties from different renowned public universities and professionals with a strong reputation and field level expertise have joined us to strengthen our ability to impart quality education. We aim continuous updating of our students with the latest advances in technology. The faculty members of this department are engaged in numerous research endeavors and many of them hold positions of influence and responsibility in national and international engineering organizations and serve on advisory councils and government commissions. Through their research and teaching, the faculty members of the department are educating the next generation of civil engineers to be leaders of a profession that demands assurance of high quality in building the infrastructure of our future. Recently, the department has taken an initiative to provide education to our students through the Outcome-Based-Education (OBE) method. In this perspective, faculty members have been taking training on OBE. Continuous Quality Improvement (CQI) mechanism utilized by the department is now becoming effective and visible in the delivery of lectures and the choice of different assessment tools by the faculty. Teaching, training, and research-based education aimed at producing engineers practicing high ethical standards with strong professional, leadership qualities and a capacity to solve critical problems in Civil Engineering with a focus on innovative approaches in problem-solving. Provide knowledge and tools that are based on scientifically grounded analysis, to produce graduates with leadership and critical problem-solving ability in Civil Engineering design, construction, and management. Groom graduates with soft skills, train them to become a team worker and a fine professional with the willingness to practice high ethical standards in their profession and vocation. Promote research and consultancy catering to the local needs, industrial and societal requirements. Encourage innovative thinking in would be engineers, patronizing them to face the challenges of the future. On behalf of the Department of Civil Engineering, SUB, I would like to thank you for visiting our web pages. Should you have any further inquiry, please feel free to contact our departmental Office at Arefin Nagar, Chittagong. Prof. (Engr.) M. Ali Ashraf, FIEB, PEng.